There was a time when all the best new shows debuted during the fall. That's not the case any longer, as networks know the perils of doing business against the greatest love in the United States of America: Football. There aren't a lot of changes to the upcoming schedule, but we have your best bets for each night of the week whether they are new series, returning shows, or just hits on the move. Sunday nights are always a mess thanks to football. NBC will have Sunday Night Football, and CBS will suffer delays. If you're in the US, expect local markets to scrub away the newly installed CW programming to show your local football teams, instead. That won't do a lot for the ratings of your favorite shows and might make it difficult for CW Sundays to get off the ground. Thankfully, there isn't a lot we at TV Fanatic deal with when it comes to broadcast on Sundays. 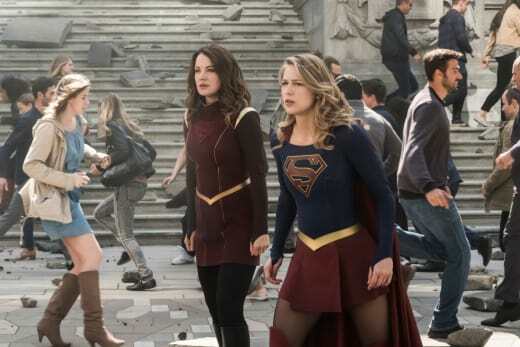 The 8/7c timeslot will be attractive with Supergirl on The CW. For those that didn't watch Kevin (Probably) Saves the World, you might be interested in God Friended Me on CBS, a series along the same vein with a feel-good message about looking out for others instead of yourself. Related: The Good Doctor Shocker: Another Series Regular Departs! It's not bad, but I'm retaining a bitter taste in my mouth from everyone who failed to tune into Kevin. At 9/8c, Charmed will attempt to conjure some magic off the back of Supergirl on The CW and going up against NCIS: Los Angeles on sister network CBS isn't the easiest competition in the world. While Charmed apparently fared well at the SDCC screening, it's a younger-skewing reboot of the franchise and those expecting more grown-up fare might be disappointed. Best bets for TV Fanatics: Supergirl and NCIS: Los Angeles followed by Madam Secretary at 10/9 on CBS. Monday nights are chock full of entertainment for TV Fanatics. If you don't have a DVR, you will want to get one. I don't know about you, but it's not easy subscribing to all of the streamers to get everything I want when I want it. The 8/7c timeslot is hot with Legends of Tomorrow on The CW and The Resident on Fox. Both are excellent, and it's a tough call. There are not two shows, but three in contention when 9/8c rolls around, and I'm still not counting The Voice or Dancing with the Stars because we're more into scripted here. The new Magnum P.I. debuts, and as a girl who grew up with the original, I can recommend the reboot. The key to reboots is casting and creating a new dynamic within that family. Related: Kelly Clarkson Talk Show a Go at NBC - Will It Replace Days of Our Lives? Magnum hits the nail on the head with this group, and Perdita Weeks as the new female Higgins is one of the biggest draws. Magnum may be the name of the show, but his buddies, including Happy Endings alum Zachary Knighton as Rick, help Jay Hernandez connect with the audience in the titular role. 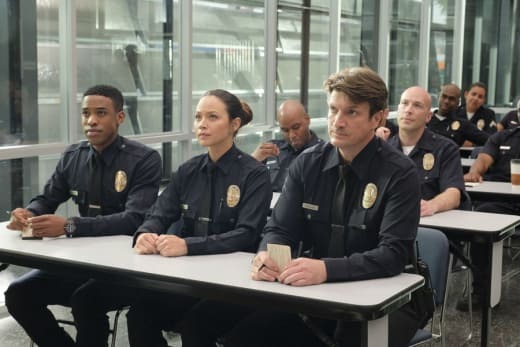 Fox's breakout 9-1-1 begins its sophomore season with Jennifer Love Hewitt on board, and as one of the most exciting shows on TV, I can't wait for it to return. 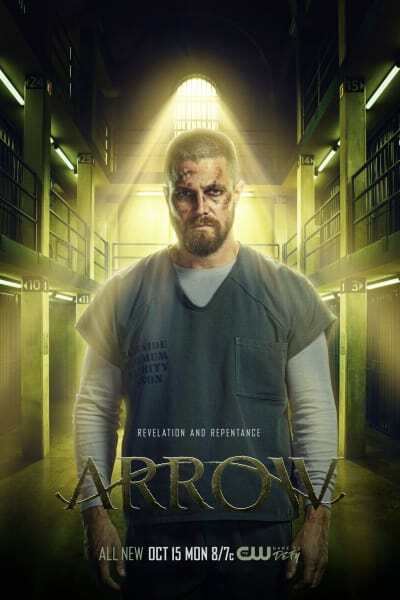 Arrow moves to a new night (again) for a season that is expected to be dark and gritty like no other. With a new showrunner on board, this may be the first time we can expect that to be true. At 10/9c NBC debuts Manifest, one of the shows predicted to give viewers a "Lost" sensation, complete with an airline as the cherry on top. It's against 2017-18 hit The Good Doctor and Bull. They're a toss-up. 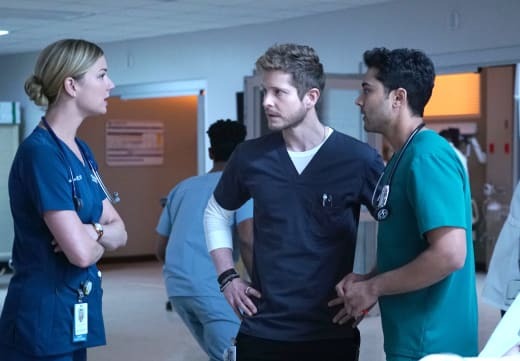 Best bets for TV Fanatics: The Resident, 9-1-1, and a take a chance on Manifest at 10/9c. Tuesdays are a bit easier to recommend and predict. At 8/7c on The CW is The Flash, and it's always been a Fanatic favorite. There is no indication this season will be any different, although it airs opposite NCIS and The Gifted. At 9/8c behemoth, This Is Us returns on NBC with a season exploring the beginning of Rebecca and Jack's relationship, as well as Jack's time in Vietnam and the introduction of his brother. It's going to be an intense and romantic season. Nobody is going to want to watch Lethal Weapon on Fox without Clayne Crawford's Riggs, but fans will be in for more Black Lightning on The CW. On CBS Missy Peregrym stars as an agent and Sela Ward joined in a last-minute casting change on FBI. Sandwiched between two of the NCIS franchise shows, it could be one to watch. 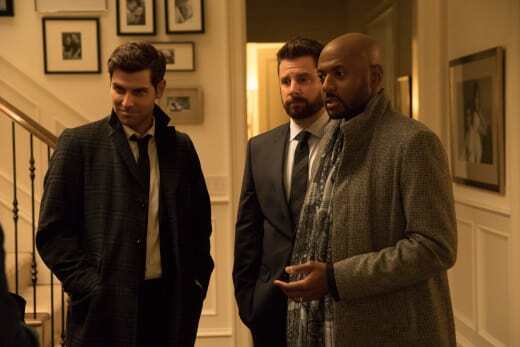 At 10/9c there are two new shows up against NCIS: New Orleans including NBC's New Amsterdam about a rogue Chief of Staff at a NYC hospital who wants to do a lot of good starring Ryan Eggold, and The Rookie, about an older newbie on the police force who is very gung-ho. With Nathan Fillion in the lead, you know it's going to have a lot of fans tuning in to see what he can do with it. While both pilots were interesting, New Amsterdam was the more compelling of the two even with a crowded field of medical shows on the air. It's hard to imagine how long Fillion can maintain his rookie status given what we see of his first day. 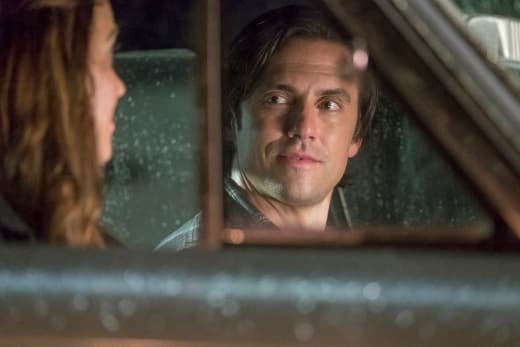 Best bets for TV Fanatics: The Flash, This Is Us, and New Amsterdam. This is an interesting night with the launch of Chicago Wednesdays. 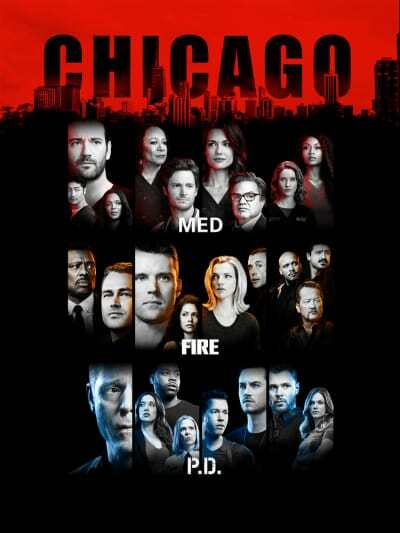 It's the first time all three series -- Chicago Med, Chicago Fire, and Chicago P.D. -- will air back to back on the same night for a full season. It is great for fans to stay in the same world for an evening, but it might be challenging to keep the stories in sync, as they haven't always been in lockstep as you'd expect. With the heightened success of P.D. of late, it will be interesting to see if people are more apt to tune into the earlier broadcasts to get to P.D. if they're all airing together. Related: Grey's Anatomy Poster: 15 Seasons of Feels! While Empire and Star will be airing back to back on Fox from 8-10 ET, Riverdale remains at 8/7c on The CW with Archie facing prison time and leads into All American, a football and "other side of the tracks" drama starring Taye Diggs that is quite good. At 10/9c, ABC's answer to This Is Us begins airing. A Million Little Things is more like a modern day The Big Chill, with established, close friendships and all the secrets that come along with them. The cast is fabulous, and the pilot episode felt oh, so short in comparison to the long wait for what comes next. Best bets for TV Fanatics: Riverdale, All American, and A Million Little Things. 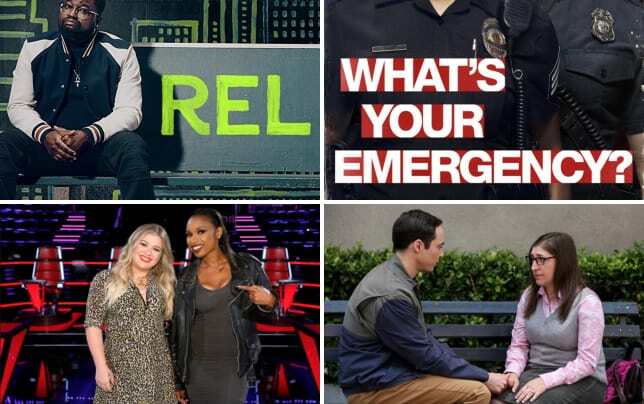 Thursdays have a little something for everyone, whether it's the final season of The Big Bang Theory, the return of Murphy Brown, the spinoff of The Originals or the 20th Season of Law & Order: SVU. More importantly, at 8/7c Grey's Anatomy returns on ABC and that's what the doctor ordered for TV Fanatics! Supernatural on The CW is another favorite for those not into soaps, and Jensen Ackles will play a new character as Michael has overtaken Dean. Legacies takes flight on The CW after Supernatural, and the two shows should be well paired. Nobody wanted The Originals to end, and some returning favorites from The Vampire Diaries will put some salve on the wound that remains. As long as the universe is active, there is Hope. See what I did there? There is no competition at 10 for the Fanatics, as Law & Order: SVU and S.W.A.T. will lose to How to Get Away with Murder in our world. 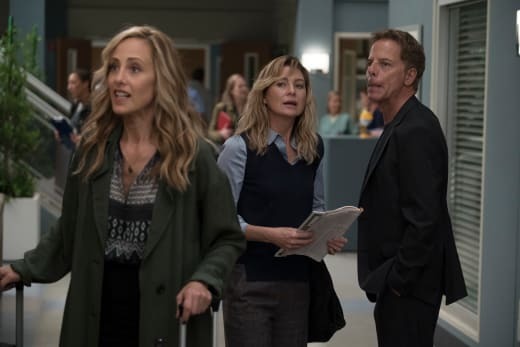 Best bets for TV Fanatics: Grey's Anatomy, Legacies, How to Get Away with Murder. Friday is date night, so only the homebodies are going to be in watching TV. That would be me. The action lovers will be tuned into either NBC or CBS from 8-10, and those looking for a little drama and romance will take to The CW for Dynasty and Crazy Ex-Girlfriend. I imagine a split with Blindspot and Hawaii Five-0 carrying the action lovers, and those who enjoy the supernatural tuning into Midnight, Texas at 9/8c on NBC. Last Man Standing and The Cool Kids will make a stand on Fox in the 8/7c hour as LMS is a much-anticipated return, and The Cool Kids is very funny with some of the greatest comics of generations on board. Don't rule it out because it isn't cast with youngsters. At 10/9c, there is only one scripted program with Blue Bloods, and it dominates. Dateline and 20/20 excite those of us who thrive on real-life mysteries. 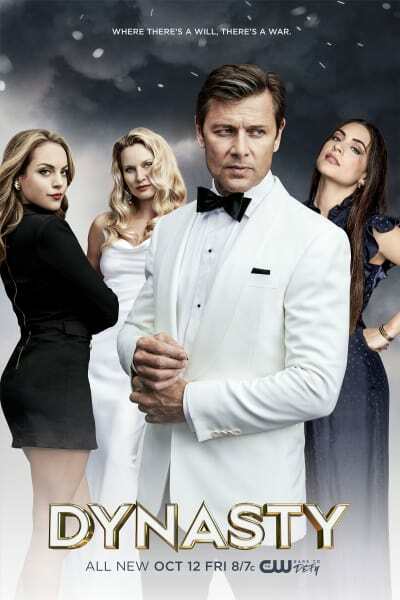 Best bets for TV Fanatics: Dynasty, Hawaii Five-0, Blue Bloods. 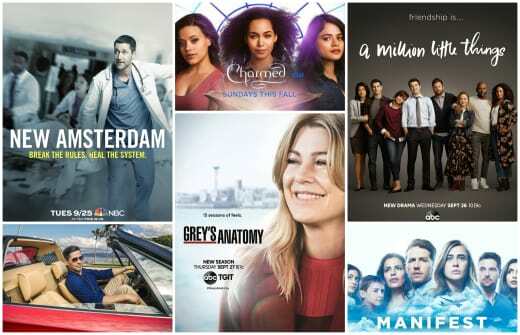 So what will you be watching as the new season begins? Will you be skipping around the networks, wading through your DVR, waiting for shows to appear on Hulu or Netflix, or skipping broadcast for cable and streaming?